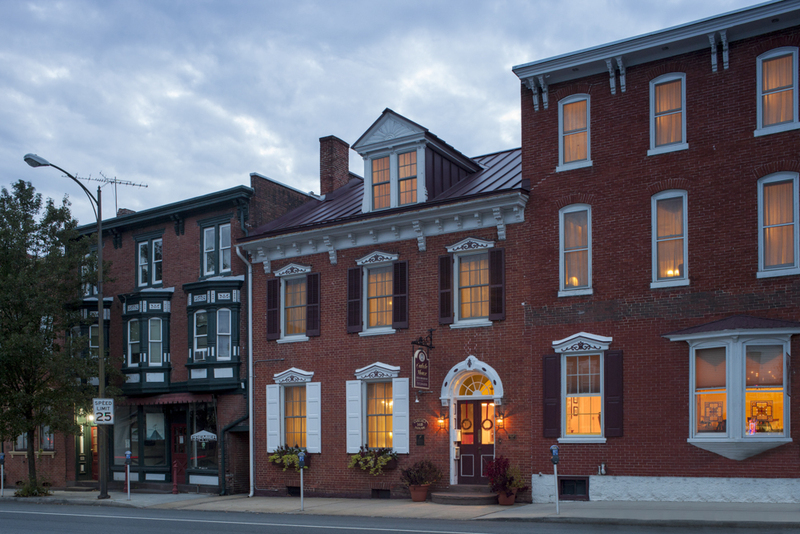 The Carlisle House B&B is an award-winning bed and breakfast located in downtown Carlisle. They recently shared one of their recipes with us that their guests have really been enjoying lately. Check it out below! Mix the cream cheese and sour cream in a medium sized bowl till smooth. Add the cardamom and ¾ cup of the confectioner’s sugar. Mix till smooth. Set aside or refrigerate for later use. In a 2 qt saucepan over med-low heat raspberries, ginger preserves, orange juice and cook until the Raspberries are falling apart. Add 1 cup of confectioner’s sugar and cook until the sugar is mixed in well. Mix the cornstarch and orange juice in small bowl then add to the raspberry mixture slowly while stirring constantly. Turn the heat down on low and continue stirring till mixture thickens a little. Strain out the seeds. Set aside or refrigerate for later use. Cut pears in half and core. Sprinkle with additional cardamom.Bake in a 350-degree oven for 30 min. or till almost done then remove and add cream cheese mixture. Continue to bake the pears for an additional 10 – 15 minute. Drizzle raspberry ginger sauce over pears and serve warm.